Special formula primer base, a combination of primer and makeup base in one product. Cream instantly changes into mineral droplets when apply, light texture and spreads easily. 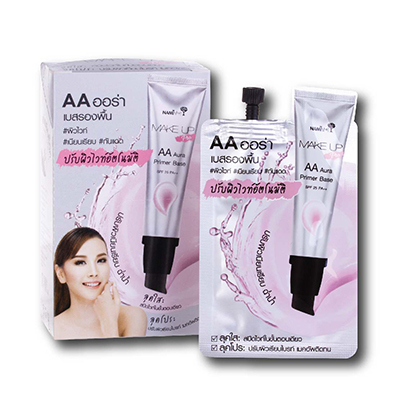 Improves skin condition, brighter and smoother skin, even skin tone, and minimizes pores. Conceals skin problems including both red and dark spots. Oil control, waterproof, and sweat-proof. Filled with vitamin C and glutathione, protecting your skin from UVA&UVB rays, resulting in Korean style glowing and radiant skin. All new Seoul Girls Set 01 the complete look in one click with 3 color eyeshadows, 4 color lips, and 1 concealer. Why buy only one when you can have it all? 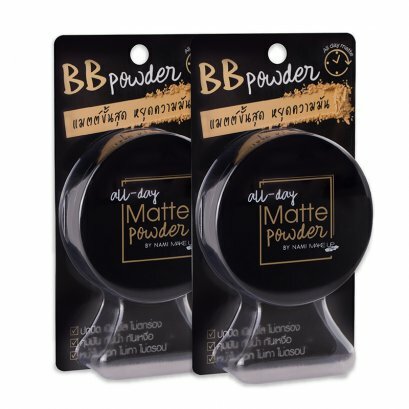 Special set save more with the All-Day Matte Powder duo set for 350 baht only (regular price 378 baht) the super matte makeup that never drops. Special formula matte powder a fine, soft, and smooth matte powder that is easy to apply and gives a lightweight feel.